Protective Industrial Products NOVAX Class 2 Size 10 Electrical Safety Kit contains 1 pair orange ESP gloves, 1 pair cowhide protectors and 14" nylon glove bag. 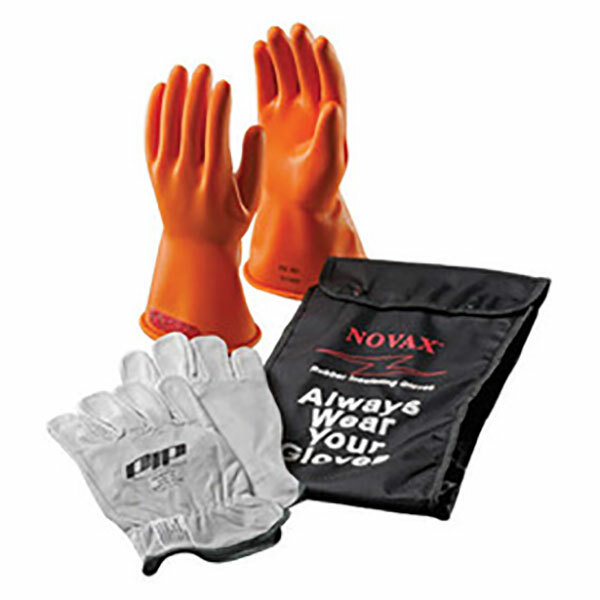 Kit contains rubber insulating gloves, leather protectors and storage bag. It is ideal for electrical purposes like power generation, electrical contractors, hybrid automotive repair, service and manufacturing, industrial plant maintenance, elevator installers, utilities and HVAC technicians.